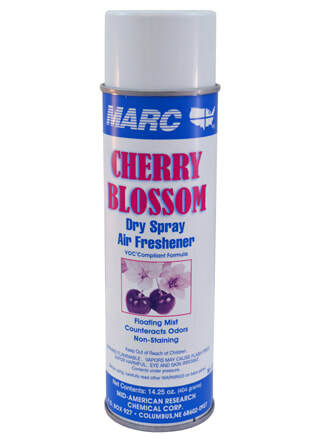 This product is a dry air freshener which has a very low VOC content. It eliminates odors in the air without messy fallout, and deodorizes from ceiling to floor. It may also be used on fabrics. It has a pleasant cherry blossom fragrance.